CP Manufacturing | R.J. Kates Co.
CP Manufacturing has been the World Leader in Separation Technology for nearly 4 decades. They have been designing and building systems and equipment for the recycling and waste industries since 1977. Internationally, they have designed, manufactured and installed over 400 material recovery facilities. They are leading the industry in innovative material separation technology, recognized for their superior engineering, equipment innovation and durability. 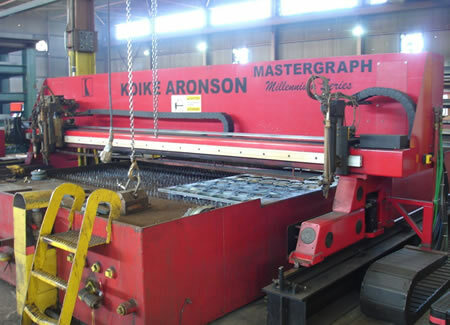 The following image is of a Koike Aronson plasma cutting system used for making parts for recycling equipment and is maintained by R.J. Kates.